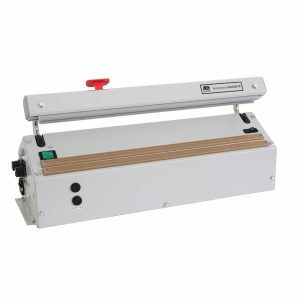 The 421 twin seal model of the Sealmaster Magneta is equipped with two parallel sealing bars. The cutting device will cut the film in between the two sealing bars. With a switch the second sealing bar can be turned off, so the machine can be used as a standard machine as well.